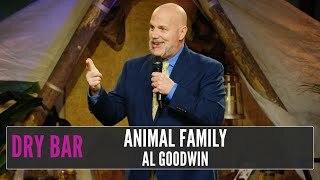 Big Al connects with his audiences--getting them to appreciate the lighter side of their own lives relating his observations and experiences. A winner on America's Funniest People, Al has been interviewed on The Billy Bush Show, and he has been seen in several PBS commercials. Big Al is regularly performing for larger venues and events. He was a finalist in HBO's Lucky 21 Contest, representing the East Coast in the Las Vegas Comedy Competition. If you haven't experienced a Big Al performance ... put this on your “must do” list and bring some friends. Laughter at a Big Al show is always guaranteed.